Volkswagen may not be an acronym, but with models like the 2014 VW CC, we might be safe in saying that the V could easily stand for value. Kelly Blue Book stated that the "CC offers luxury vehicle styling at a non-luxury price," and shoppers will also find that it delivers a terrific amount of high-end equipment, even with a low starting MSRP. This upscale midsize sedan offers even more refinement for the new model year with an extended range of standard features. The CC is a glowing example of affordable luxury, and with the sleek, dramatic styling of a coupe and versatility of a sedan, it boldly combines form, function and sophistication. The 2014 VW CC is offered in Orlando in several luxuriously appointed trims, including the Sport, Sport Plus and Lux; all are available in PZEV versions as well. Shoppers can also select these high-performance trims: the VR6 Lux and VR6 4Motion Executive. Several high-end technological features come standard on the 2014 CC. You can listen to your favorite music through a quality sound system and make calls hands free courtesy of standard amenities like Bluetooth and a touch-screen stereo with iPod connectivity and HD radio. Other features like dual-zone automatic climate control and heated front seats ensure that you have a comfortable ride, no matter the weather. Shoppers can also choose from a long list of packages and optional features, such as a navigation system, massaging driver's seat, a power rear sunshade and more. 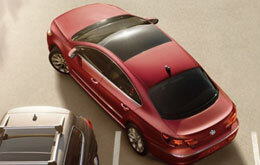 Find out more about the 2014 VW CC in Orlando by visiting David Maus VW South today. Even more cutting-edge technology is waiting under the hood. Both of the CC's engines feature advanced technologies that help deliver sporty performance and respectable fuel economy. The VR6 Lux and VR6 4Motion Executive each house the more powerful of the two engines, a 3.6-liter V6 that produces 280 horsepower and 265 pound-feet of torque. The V6 is paired with a six-speed automatic transmission. The remaining trims receive a turbocharged 2.0-liter four-cylinder with 200 horsepower and 207 pound-feet of torque. 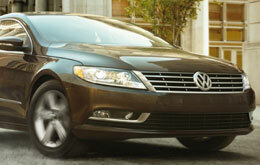 Continue reading the VW CC review below to learn more about this sporty sedan's features and specs. 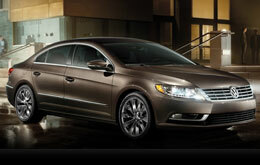 In a multitude areas, the 2014 Acura TSX, Mercedes-Benz C-Class and the Buick Regal are surpassed by the 2014 Volkswagen CC. With modern incar technologies and an tasteful design, shoppers will love the CC. You'll definitely see that when compared to the forementioned vehicle options it's a remarkable value in regard to price, which is why many Orlando Volkswagen customers choose it. Find out more information in our bullet list below this text! Make the most out of your next Volkswagen purchase. David Maus VW South offers reviews like the 2014 CC one above, along with reviews of previous year models, so you can research before you buy. Well-informed automotive writers performed hours upon hours of research to write the reviews on our site. Each passage is overloaded with worthwhile material, including info about safety technologies and more - everything you need to make an sensible purchasing decision. 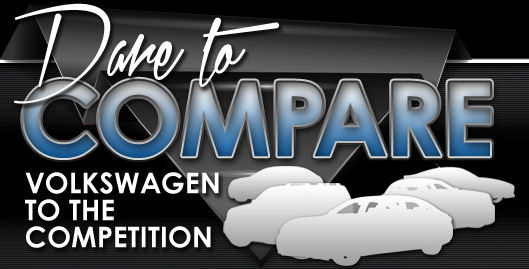 Now that you've read David Maus VW South's review of the 2014 CC, please use the contact form to message us to find out about OEM specials and financing offers, so you can save a substantial amount on your next purchase!